The Flyye Industries 1000D Cordura MID Notebook / Laptop Bag is great for users that want to protect their invest with additional utility capability. There is space to attach MOLLE capable pouches and accessories onto the bag if you need to carry extra items. 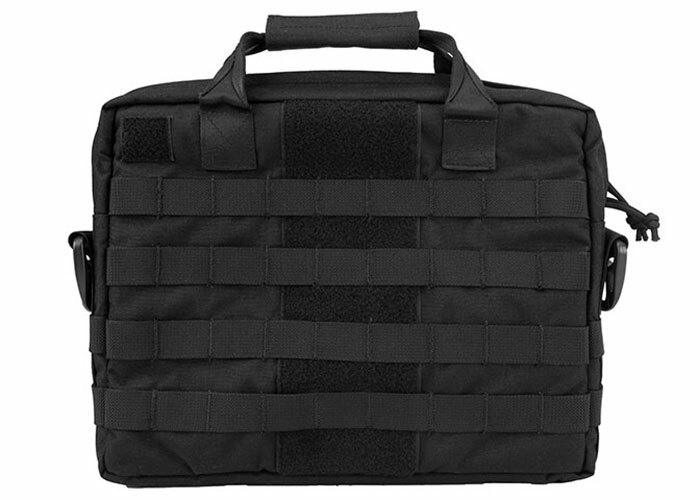 This is ideal for anyone needs to carry supplies for the office, school, or any situation that you may run into. Another essential point is the padded protection keeping the internal storage secured and safe. Also, there is a should strap that is adjustable to fit comfortable when transporting the bag. The durable 1000D Cordura Nylon construction is built to last through tough conditions to reassure your gear is in good hands. Without a doubt, Flyye Industries has got it covered with a dependable bag to transport your laptop or other items.